Our album of the year is St. Vincent by St. Vincent. Five of us put together wildly different album lists, and this was the common ground, appearing on every single one, often near the top. 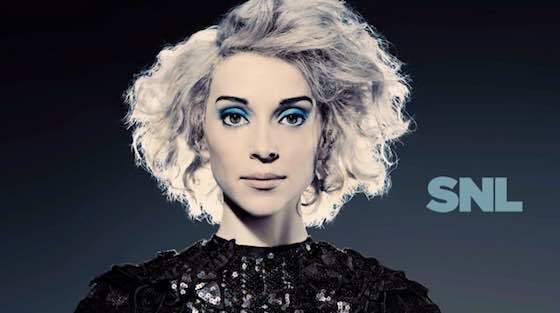 We were all at least somewhat familiar with St. Vincent’s work before this year, but her self-titled record blows her past, merely good albums off whatever planet she’s from. 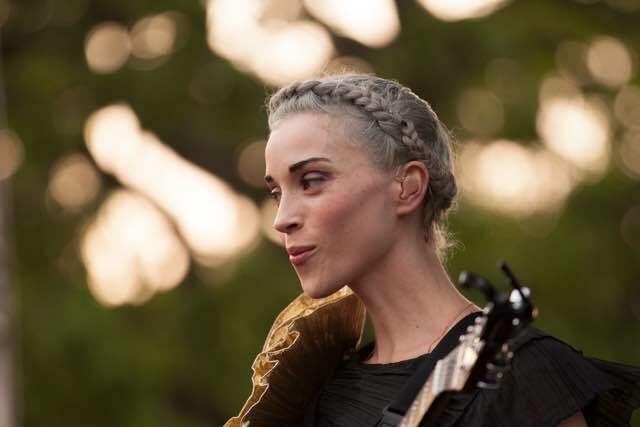 As gratifying as it’s been to see female pop artists completely take over the charts over the past couple of years, it’s hard not to see St. Vincent as the new-millennium female pop star (which is to say: pop star) for the smart set. Below, Marisa, Sara, Rob, and Jesse piece together what we love about this album from its eleven wonderful songs. True fact: I am the last one to turn in my St. Vincent write-up. That’s because I’ve spent a lot of time trying to sort through all my feelings about “Prince Johnny,” apart from the feeling that I love it. 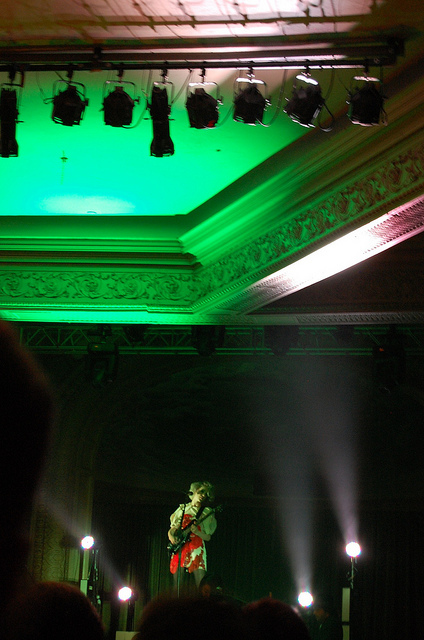 She starts off the song by saying, “You’re kind, but you’re not simple.” The same can be said for the song: It’s pleasant, but it’s not simple. That’s why music writers have twisted themselves into knots trying to describe it, layering on these really purple words, like calling it a “a luxuriant, rhythmic ballad with a melancholic, detailed narrative.” I’m not criticizing. It needs this kind of description. I would add these equally flowery words: haunting, longingly, soaring, enigmatic, elegiac, and heartbreaking. Kind-but-simple words do not do justice. DRONE 1: DID YOU LISTEN TO THIS MESSAGE? 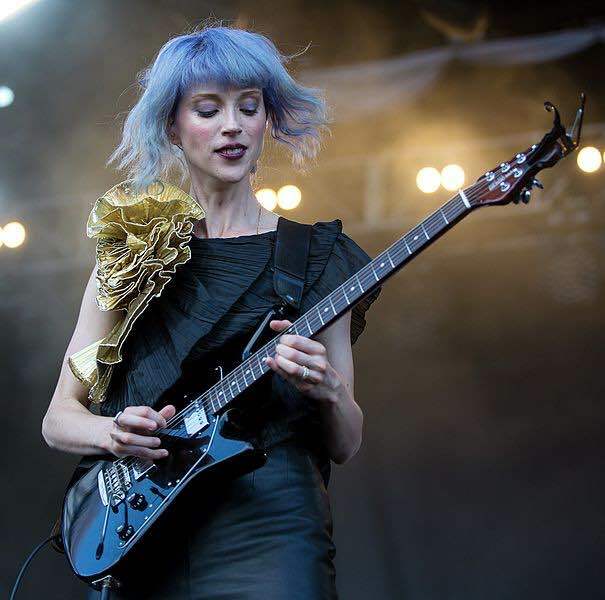 ST. VINCENT IS ORDERING ALL OF US TO BRING HER OUR LOVES. DRONE 2: OH, LIKE, WE SHOULD EACH BRING HER ONE OF OUR FAVORITE THINGS? DRONE 1: SHE SAYS ALL OF THEM. DRONE 2: ALL OF THEM? DRONE 1: YEAH. SHE SOUNDS PRETTY SERIOUS. DRONE 2: DID SHE SAY WHAT SHE WANTS TO DO WITH THEM? DRONE 1: SHE WANTS TO LOVE THEM TOO. DRONE 2: WELL THAT SOUNDS PRETTY HARMLESS. DRONE 1: I THINK YOU SHOULD LISTEN TO THE MESSAGE. DRONE 2: OH JESUS. THIS SOUNDS SERIOUS. DRONE 2: THIS SONG IS NOT THAT LOUD IN THE BROADER SCHEME OF LOUD MUSIC, BUT IT STILL SOUNDS LIKE IT’S HAPPENING IN ALL CAPS. DRONE 1: STOP WASTING TIME, WE NEED TO BRING OUR LOVES TO HER IMMEDIATELY. I have listened to this album countless times. I have listened to the Lady Gaga song “Edge of Glory” exactly as many times as I’ve heard it in a public place since it was released (I would estimate about ten). Yet every single time I hear St. Vincent sing “…’cause I’m on the edge of a heart attack” in this song, her intonation leads me to expect her to sing “on the edge of glory.” This is embarrassing because St. Vincent is vastly superior to Lady Gaga and annoying because it sometimes actually manages to get “Edge of Glory” into my head, but also, finally, a useful point of comparison, because Annie Clark, as St. Vincent, does all of the weird, inventive, artsy shapeshifting that Stefani Germanotta does as Lady Gaga. Hell, the transition from the stuttering verses of “Psychopath” to the lusher orchestration of its chorus and back again to minimalist beats and angular guitar is more dynamic than most of Gaga’s costumed-up club boilerplate. Of course, 2014 is kind of a silly time to be picking on Lady Gaga; St. Vincent makes it plentifully easy to just listen to something better.